New Study Concludes That Tracking Funding Of The Ethically Abhorrent Climate Disinformation Campaign Is Now Impossible. A new peer-reviewed study by Dr. Robert Brulle from Drexel University documents how the funding of the climate change disinformation campaign has shifted in the last few years from corporations and some politically conservative foundations to pass-through 501(c) (3) foundations like Donors Trust and Donors Capital, whose funders cannot be traced. Ethics and Climate Change has explained in great detail in 13 separate articles available in the Start Here and Index tab on this site under “Disinformation Campaign and Climate Ethics” why the climate change disinformation campaign is ethically abhorrent, and, in fact, is some new kind of crime or assault against humanity, gross human rights violation, or other kind of villainy. This is so, as explained in these articles, because although skepticism in science should be encouraged, the climate change disinformation campaign has engaged in tactics which can’t be understood as responsible skepticism. These tactics have included: (1) lying or reckless disregard for the truth about mainstream climate change science, (2) cherry-picking climate science, (3) making specious claims about “bad” science, (4) focusing on what is unknown while ignoring what is not in dispute about climate change science, (5) using think tanks, front groups, and AstroTurf organizations to hide the real parties in interest, (6) manufacturing bogus science in conferences or publishing in non peer-reviewed journals, (7) hiring public relations firms to convince citizens that there is no basis for mainstream scientific conclusions about climate change, and (8) cyber-bullying climate scientists and journalists. These tactics are not responsible skepticism but morally abhorrent misinformation. Conservative foundations have bank-rolled denial. The largest and most consistent funders of organizations orchestrating climate change denial are a number of well-known conservative foundations, such as the Searle Freedom Trust, the John William Pope Foundation, the Howard Charitable Foundation and the Sarah Scaife Foundation. These foundations promote ultra-free-market ideas in many realms. Koch and ExxonMobil have recently pulled back from publicly visible funding. From 2003 to 2007, the Koch Affiliated Foundations and the ExxonMobil Foundation were heavily involved in funding climate-change denial organizations. But since 2008, they are no longer making publicly traceable contributions. Funding has shifted to pass through untraceable sources. Coinciding with the decline in traceable funding, the amount of funding given to denial organizations by the Donors Trust has risen dramatically. Donors Trust is a donor-directed foundation whose funders cannot be traced. This one foundation now provides about 25% of all traceable foundation funding used by organizations engaged in promoting systematic denial of climate change. Most funding for denial efforts is untraceable. Despite extensive data compilation and analyses, only a fraction of the hundreds of millions in contributions to climate change denying organizations can be specifically accounted for from public records. Approximately 75% of the income of these organizations comes from unidentifiable sources.. The new study also concludes that the climate change disinformation campaign is what is known in the sociological literature as a “counter-movement.” Social movements such as that which has arisen to reduce the threat of climate change are often opposed by a “counter-movement” which seeks to undermine the goals of the social movement. Social movements usually seek to frame public policy issues as matters requiring government action while counter-movements work to frame the issue in the mind of the public to undermine the case for government action. This creates cultural contests over the appropriate frame for the public advocated by social movements and counter-movements. According to Brulle, the climate change disinformation campaign is a well-funded and organized counter-movement effort to undermine public faith in climate science and block action by the U.S. government to regulate emissions. This counter-movement involves a large number of organizations, including conservative think tanks, advocacy groups, trade associations and conservative foundations, with strong links to sympathetic media outlets and conservative politicians. Because much of the funding for the climate change disinformation campaign has shifted to organizations that prevent tracing the actual donors who are receiving a tax deduction for their contributions, a case can be made that tax payers are paying for the disinformation campaign. The new funding scheme also prevents citizens from knowing where the funding is coming from, facts which are necessary to understand who the parties in interest are behind the counter-movement. Because the tactics of the disinformation are so ethically reprehensible, the new funding scheme most likely shields large funders from public scrutiny that would reveal ethically abhorrent behavior. The Climate Change Disinformation Campaign: What Kind Of Crime Against Humanity, Tort, Human Rights Violation, Malfeasance, Transgression, Villainy, Or Wrongdoing Is It? Part Two: Is The Disinformation Campaign a Human Rights Violation Or A Special Kind of Malfeasance, Transgression, Villainy, Or Wrongdoing ? This is the second in a series looking at how to classify the climate change disinformation campaign given that it is some new kind of assault on humanity, yet not easily classifiable into existing categories of behaviors that cause great harm. Part One of this series identified four prior articles and three videos that Ethicsandclimate.org has previously produced on this subject as well as looking at whether this effort to undermine the mainstream scientific view about climate change can be classified as a crime against humanity or a tort under common law. These previous articles distinguished the tactics of the disinformation campaign from responsible skepticism and the acceptable exercise of free speech after explaining what is meant by the “climate change disinformation campaign” and how it operated. I. Is The Climate Change Disinformation Campaign A Human Rights Violation? A very strong case can be made that human-induced climate change triggers human rights violations because of the destructive nature of climate change damages. If human rights are to be understood to be recognition of those norms that are necessary to protect human dignity, inadequate climate change policies must be understood to trigger human rights violations because climate change will not only make human dignity impossible for millions of people around the world, including countless members of future generations but also directly threaten life itself and resources necessary to sustain life. And so, as we shall see, climate change causing activities create human rights violations because of the enormity of harm to life, health, food, property, and inviolability of the right of all people to enjoy the places where they live. Yet finding legal remedies under human rights legal theories for the the destructive role that the disinformation campaign has played in preventing or delaying solutions to climate change will require finding at a minimum: (a) a specific human right under and an existing human rights regime that has been violated by climate change, (b) a human rights regime that has the jurisdiction and legal authority to grant the requested remedy in the specific human rights controversy before it, (c) a legal theory supporting the claim that non-state actors, not just governments, responsible for the violations of human rights have duties to prevent human rights, and (d) a legal justification to link the duties of non-state actors to prevent human rights violations to the activities of the disinformation campaign. B. Which human rights are violated by climate change and do human rights fora have the authority to adjudicate claims based upon the tactics of the disinformation campaign? The 1948 Universal Declaration of Human Rights (UDHR) is usually viewed to be the foundational document in modern international human rights law. (UN, 1948). The UDHR is a non-binding ‘soft-law’ agreement among nations that over time has been complemented by a series of legally binding international treaties while retaining its status as customary international law. Because it is customary international law it could be relevant to damage claims made in civil litigation requesting damages in cases before international courts such as the International Court of Justice. The two most important global human rights treaties in addition to the UDHR often stated to be the International Covenant on Civil and Political Rights (ICCPR) and the International Covenant on Economic, Social, and Cultural Rights (ICESCR). b. Taking into account the problems of both food-importing and food-exporting countries, to ensure an equitable distribution of world food supplies in relation to need. A strong case can be made that climate change prevents people all around the world from enjoying the above rights. These three documents i.e. the UDHR, the ICESCR, and the ICCPR are often considered to be the foundational documents that comprise an international bill of rights. Yet not all nations have adopted all three documents. Although the UDHR has been accepted by most nations of the world, the ICPCR and ICCPR have been less widely so. In fact the ICESCR has not been ratified by the United States and therefore may be inapplicable to climate change caused human rights violations in the United States. To date, these two treaties have been ratified by about 75 percent of the world’s countries. 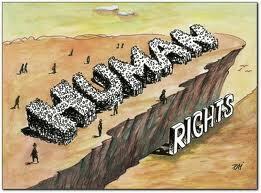 The UDHR is a “soft-law” document which has normative, but not legal force in the international system. The ICESCR and ICCCPR were the first of many treaties that have been enacted to give the protections identified in the UDHR the force of law. A country ratifying a UN human rights treaty agrees to respect and implement within domestic law the rights the treaty covers. It also agrees to accept and respond to international scrutiny and criticism of its compliance. It does not necessarily agree to make the human rights norm directly enforceable in domestic courts. That usually requires implementing legislation. Treaty enforcement is accomplished within the UN often with the creation of a body to monitor states’ performance, and to which member states are required to submit periodic reports on compliance. For instance, the ICCPR is implemented through the Human Rights Committee (HRC) which was created to promote compliance with its provisions. 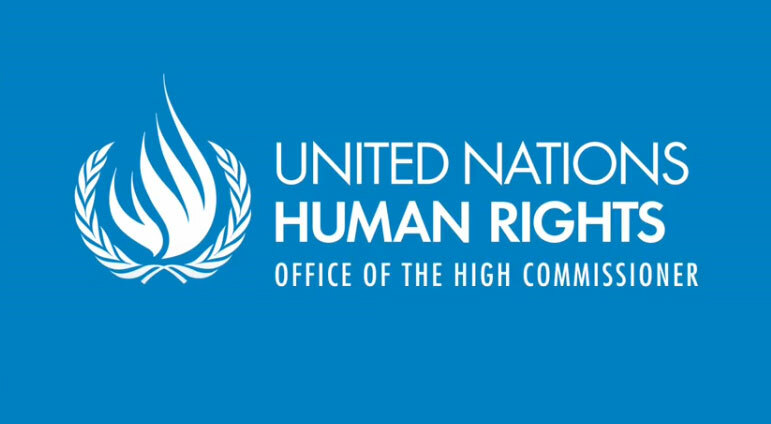 The HRC frequently expresses its views as to whether a particular practice is a human rights violation, but it is not authorized to issue legally binding decisions. Other treaties and bodies exist within the UN system with varying enforcement and implementation powers and duties to implement human rights goals. For the most part, these enforcement powers are weak and improvements in human rights violations are best achieved through holding offending nations to the court of international opinion rather than law. 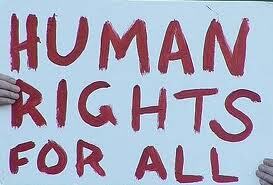 In addition, several regional human rights regimes have been enacted that promote human rights in particular parts of the world. These regions include Europe, the Americas, and Africa which have their own declarations and conventions for enforcement of human rights on a regional basis. Thus far no one has successfully brought a human rights claim for climate change caused damages although the Inuit Peoples filed such a claim in the Inter-American Commission on Human Rights. Before a successful human rights claim can be brought in an existing legal forum in regard to climate change, several potential legal hurdles need to be overcome that have little to do with whether a nation or an individual has committed a human rights violation. These hurdles include jurisdictional, issues, questions of proof, and authority of the relevant forum. For this reason, the failure to successfully bring legally recognized human rights claims may have little to do with whether the offending behavior has created a violation of the protected right but more with the limitation of the existing legal regime. And so, the failure to bring a successful action against the climate change disinformation campaign in an existing human rights forum does not mean the disinformation campaign is not responsible for human rights violations. Examining climate change through a human rights lens has the benefit of providing potential access to legal fora that have been created to adjudicate aspects of human rights violations. Given that there are no obvious legal fora to bring civil actions against those who have participated in the climate change disinformation campaign, pursuing remedies for human rights violations caused by climate change has the advantage of being able to file legal claims in existing judicial fora. Potential fora include, at the global level, the Human Rights Committee established by the International Covenant on Civil and Political Rights and the Committee on Economic, Social and Cultural Rights established by the International Covenant on Economic, Social and Cultural Rights. Regional tribunals include the Inter-American Commission and Court of Human Rights and the European Court of Human Rights. In addition, claims could potentially be pursued in national courts–for example, in the United States under the Alien Tort Statute. Yet each of these fora have different jurisdictional limits on bringing legal actions on human rights basis. In this regard, a case brought on behalf of the Inuit Peoples in the Inter-American Commission on Human Rights sought to find that the United States was responsible for international human rights violations is illustrative of potential road blocks to bringing successful cases for human rights violations in existing legal rights fora. The petition detailed the effects of rising Arctic temperatures on the ability of the Inuit to enjoy a wide variety of human rights, including the rights to life (melting ice and permafrost make travel more dangerous), property (as permafrost melts, houses collapse and residents are forced to leave their traditional homes) and health (nutrition worsens as the animals on which the Inuit depend for sustenance decline in number). The petition connected the rising temperatures to increasing levels of greenhouse gases, and in particular, to the failure by the United States to take effective steps to reduce its emissions. petition at present.” The IACHR did not explain its reasoning, stating only that “the information provided does not enable us to determine whether the alleged facts would tend to characterize a violation of [protected human] rights.” The Commission did hold a hearing on the connection between climate change and human rights in March 2007, but it has taken no further action. It would appear that IACHR did not believe it had the legal authority to order the specific relief requested by the petitioners, namely to issue an order to the United States to reduce its greenhouse gas emissions. And so the IACHR did not decide the case on the merits of the underlying claim that the United States had contributed to human rights violations of the Inuit people, it appeared to decline to act on the basis of legal issues about its own authority. (B) Do the duties to prevent human rights violations bind non-state actors including corporations? It is not clear as of yet the extent to which human rights regimes create duties for individuals and corporations, that is non-state actors. Bodansky summarizes the current state of this legal question. [A] crucial question is whether the duties to respect, protect and fulfill apply to private actors as well as states. International criminal law demonstrates that international law can in some case impose duties directly on individuals, and some have proposed that corporations have duties to respect human rights. So, at least in theory, human rights law could impose a duty on private actors to respect human rights by limiting their emissions of greenhouse gases. But generally, human rights law – like international environmental law – imposes duties on states rather than on corporations. If this is true of climate change,then human rights law limits the activities of non-state actors only to the extent that states have a duty to protect against climate change by regulating private activities. And so, it is not clear whether the corporations that have participated in the disinformation campaign can be sued in the various human rights tribunals, yet nations may have a duty to regulate emissions from those corporations participating in the climate change disinformation campaign under human rights theories. (C) Are the participants in the disinformation campaign liable for contributing to human rights violations? A final issue that needs to be overcome to successfully bring a legal action against the participants in the disinformation campaign for violating civil rights of people around the world is identifying a legal basis for concluding that the disinformation campaign unlawfully caused the violation of civil rights. Because most of the participants in the disinformation campaign are corporations that are also emitters of greenhouse gases, these corporations like all greenhouse gas emitters arguably have duties to reduce their greenhouse gas emissions to levels that in combination with other emitters do not deprive people around the world from enjoying legally protected rights. Yet it is not clear, that the tactics of the disinformation campaign alone make the participants in the disinformation campaign responsible for human rights violations by themselves. However, most governments make it a crime for individuals to conspire to deprive people of their human rights. For instance, under US law it is a crime for persons to conspire to deprive another of the rights of an individual that has been secured by the individual through the United States Constitution or through any other laws of the United States. Although this specific law has not been tested in regard to climate change, it is generally viewed to be a breach of civil and sometimes criminal law to conspire to deprive people of their rights. As we saw in Part One of this series, the Plaintiffs in the case of Kivalina versus ExxonMobil et al asserted that the fossil fuel companies that have been part of the disinformation campaign conspired to harm the residents of Kavalina. And so there may be sufficient facts about the disinformation campaign that could form the basis of a claim that if proven could be the basis for finding responsibility for individuals participating in the climate change disinformation campaign yet only an actual case will test this possibility. (D) Conclusions in regard to classifying the disinformation campaign as a violation of human rights. There is little question that the more than 20 year delay in taking action on climate change in the United States for which the disinformation campaign is at least partially responsible for has prevented people around the world from enjoying a host of human rights that are now recognized in a variety of human rights regimes around the world. Yet, as was the case in categorizing the disinformation as a crime against humanity or a common law tort, there may be no existing legal remedy under existing human rights law that can be deployed to deal with the harms created by those participating in the disinformation campaign. And so once again, there may be serious deprivations of human rights caused by the disinformation campaign without legal remedies. Only time will tell whether those who have been harmed by climate change will be able to successfully bring a legal action against those engaged in the disinformation campaign for damages. II. What Kind of Malfeasance, Transgression, Villainy, Or Wrongdoing is The Behavior of the Disinformation Campaign? We have seen thus far from the previous analysis in this two part series that there may be no legal remedy under existing law relating to crimes against humanity, civil tort, or human rights law for the harms caused by the climate change disinformation campaign. Yet the harms attributable to the disinformation campaign are so potentially catastrophic to hundreds of millions of people around the world that laws relating to crimes against humanity, civil tort, and human rights should be amended to provide legal sanctions under these legal theories for at least for the more egregious tactics that have sometimes been deployed by some participants in this campaign. Yet there is no doubt that some of the tactics deployed by the disinformation campaign, to be distinguished from responsible skepticism that should be encouraged, constitute some kind of malfeasance, transgression, villainy, or wrongdoing. To understand the full moral abhorrence of the disinformation campaign, a complete description of the tactics employed by the disinformation campaign is necessary and how the moral abhorrence of these tactics can be distinguished from the reasonable exercise of free speech, the right of individuals to express opinions, and the benefits to society from skeptical inquiry. Ethicsandclimate.org reviewed these issues in four articles and three videos. These prior articles explained what is meant by the disinformation campaign, distinguished the tactics of the campaign from responsible scientific skepticism which should be encouraged, and described how the disinformation campaign was funded and organized. 1. Ethical Analysis of the Climate Change Disinformation Campaign: Introduction to a Series. 2.Ethical Analysis of the Disinformation Campaign’s Tactics: (1) Reckless Disregard for the Truth, (2) Focusing On Unknowns While Ignoring Knowns, (3) Specious Claims of “Bad” Science, and (4) Front Groups. 3.Ethical Analysis of Disinformation Campaign’s Tactics: (1) Think Tanks, (2) PR Campaigns, (3) Astroturf Groups, and (4) Cyber-Bullying Attacks. 4. Irresponsible Skepticism: Lessons Learned From the Climate Disinformation Campaign. Why The Climate Change Disinformation Campaign Is So Ethically Abhorrent. The Ethical Abhorrence of The Climate Change Disinformation Campaign, Part 2. The Ethical Abhorrence of the Climate Change Disinformation Campaign, Part 3. This video explains how destructive the disinformation campaign has been in preventing or delaying government action to reduce the threat of climate change. In summary, at least some of the tactics of the climate change disinformation campaign are some new kind of assault on humanity which could be dealt with under expanded legal theories about crimes against humanity, civil tort, or human rights. The philosopher Hans Jonas argued that the potential of new technologies to create great good and great harm creates the need to establish new social norms about how to deal with scientific uncertainty. Following Jonas’ logic, the enormity of potential harms from a problem like climate change creates the need to establish new norms about the need to be extraordinarily careful about claims that there is no danger threatened by certain human activities. We have examined in the last of the four articles above, what these new norms might look like given the need to encourage responsible skepticism yet assure that assertions that there is no danger are made responsibly. Because the climate change disinformation campaign deployed tactics that were designed to undermine the scientific basis that supported taking policy action to reduce the threat of climate change and in so doing used tactics that are ethically abhorrent, the climate change disinformation campaign should be used to develop new legal and moral norms about the need to be responsible when discussing very dangerous human activities. Just as it would be morally abhorrent for someone to tell a girl who is lying on a railroad track that she can continue to lie there because no train is coming when that person did not have reliable knowledge that no train was coming while having an economic interest in the girl staying on the track, so it is deeply ethically troublesome for those engaged in the disinformation campaign to tell the US people that there is no evidence that fossil fuels are causing climate change without subjecting their claims to the rigor of peer-review. 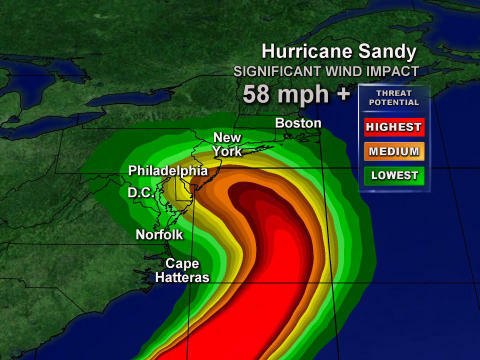 Will Hurricane Sandy Remedy The US Media’s Grave Failures To Adequately Cover Climate Change? Will this new interest in human-induced global warming lead to a cure of the grave US media failures to communicate adequately to the American people the urgency and magnitude of the threat to the world entailed by climate change? an understanding of the nature of the well-organized, well-financed disinformation campaign that has been operating in the United States for over 20 years and that has been funded largely by fossil fuel interests and free market fundamentalist foundations. In previous entries, Ethicsandclimate.org examined the failure of the US media to communicate about: (a) the nature of the strong scientific consensus about human-induced climate change, (b) the magnitude of greenhouse gas emissions reductions necessary to prevent catastrophic climate change,(c) the practical significance for policy that follows from understanding climate change as essentially an ethical problem, (e) the consistent barrier that the United States has been to finding a global solution to climate change in international climate negotiations, and (f) the failure of the US media to help educate US citizens about the well-financed, well-organized climate change disinformation campaign. Unless these other features of climate change are understood, there is a huge risk that Americans will not support strong climate change policy measures of the scale needed in the United States. This is the fifth paper that examines in more detail the issues briefly examined in the video. In previous entries we examined the failure of the US media to communicate about: (a) the nature of the strong scientific consensus about human-induced climate change, (b) the magnitude of greenhouse gas emissions reductions necessary to prevent catastrophic climate change,(c) the practical significance for policy that follows from understanding climate change as essentially an ethical problem, and (e) the consistent barrier that the United States has been to finding a global solution to climate change in international climate negotiations. In this paper we look at the failure of the US media to help educate US citizens about the well-financed, well-organized climate change disinformation campaign. For over 30 years, there has been a debate about climate change that most Americans are at least dimly aware of. In this debate, sometimes those opposed to action on climate change are characterized as climate “skeptics.” Skepticism is the oxygen and catalyst of science and should be encouraged. Yet most Americans are completely unaware that a well-financed, well-organized climate change disinformation campaign has been operating for over two decades that has used tactics which cannot be classified as responsible skepticism. In fact, this campaign has been engaged in tactics that are deeply ethically abhorrent. To the extent that the US mainstream press has covered this controversy, it has reported on disputes between mainstream climate scientists and scientific skeptics and in so doing ignoring the ethically abhorrent tactics of the disinformation campaign discussed in this article and at the same time giving opposition to climate change policy legitimacy that the disinformation campaign does not deserve because its tactics cannot be understood as responsible skepticism. Also, as we have described in considerable detail in a prior entry, the mainstream press has utterly failed to cover the strength of the climate change scientific consensus position on climate change. This disinformation campaign has largely been responsible that the United States failure to enact comprehensive climate change policies. Given the enormity, harshness, and destructiveness of climate change impacts, the duties that high-emitting countries like the United States have to not harm hundreds of millions of people around the world who are vulnerable to climate change, and the fact that the world has now lost several decades in finding a solution to climate change at a time when the world may be running out of time to prevent dangerous climate change, the failure of the US media to report on the nature of this campaign to the American people is a grave, tragic, and profound failure. There is a growing peer-reviewed sociological literature on the disinformation campaign which describes this phenomenon as a counter-movement. (See, for example, McCright and Dunlap 2000: 559) A counter-movement is a social movement that has formed in reaction to another movement. (McCright and Dunlap 2000: 504.) The climate change disinformation campaign can be understood to be a continuation of the counter-movements that arose among US political conservatives in reaction to the environmental, civil rights, women’s rights, and anti-war movements that arose in the 1960′s in the United States. And so, the climate change disinformation campaign’s methods and processes can be understood to be an extension of strategies that had already been developed among some, although not all, conservatives to counter the environmental movement that had developed in the late 1960s and 1970s around other environmental issues such as air and water pollution, safe disposal of waste and toxic substances, and protection of wetlands and endangered species. Yet the emergence of global warming as an issue in the 1980s with its potential for large-scale social change needed to ameliorate its threat was seen as more threatening to conservatives in regard to industry, prosperity, life-style, and the entire American-way of life, than were traditional pollution problems. (McCright and Dunlap 2000: 503) In other words, climate change directly threatened the central values of the US conservative movement even more than other environmental problems. (McCright and Dunlap 2000: 505) As a result climate change has become the key environmental focus of the US conservative movement. • There is no warming. • Its not caused by humans. • Reducing greenhouse gas emissions will cause more harm than good. To support these claims, the climate denial machine frequently has made claims that: (a) mainstream climate scientists are corrupt or liars, (b) descriptions of adverse climate change impacts are made by “alarmists,” (c) scientific journals that publish climate related research are biased against skeptics, and (d) mainstream climate science is “junk” science. The climate change disinformation machine also has made frequent ad hominem attacks on those who produce climate change science and sometimes has cyber-bullied both climate scientists and journalists. In summary, the climate change disinformation campaign has engaged in these tactics and others identified in this paper that may not be classified as responsible skepticism, yet the US media has covered this campaign as if it was the output of reasonable scientific skepticism. The climate change disinformation campaign began in the 1980s when some of the same scientists and organizations that fought government regulation of tobacco began to apply the tactics perfected in their war on the regulation of tobacco to climate change. (Oreskes and Conway 2010:169-215). According to Pooley the disinformation campaign began “spinning around 1988 in response to the increasingly outspoken scientific community…” (Pooley 2010: 39) For almost 25 years this campaign has been waged to undermine support for regulation of greenhouse gases. As a result of the internet communication between participants in this campaign, charges by one of the participants have been quickly transmitted to others creating an echo chamber of counter-claims made in opposition to the mainstream scientific view of climate change. The disinformation campaign’s most important participants have been conservative think tanks according to the sociological literature. (Jaques et al 2008) As we shall see, these think tanks developed the ideas, communications and media strategies, literature and press releases that have been widely deployed in rhetorical strategies to defend conservative interests by creating doubt about mainstream climate change scientific claims. The mainstream conservative movement, embodied in conservative foundations and think tanks, quickly joined forces with the fossil fuel industry (which recognized very early the threat posed by recognition of global warming and the role of carbon emissions) and wider sectors of corporate America to oppose the threat of global warming, not as an ecological problem, but as a problem for unbridled economic growth. (Dunlap and McCright 2011:144) And so the disinformation campaign has been a movement that has been waged both by conservative organizations and some corporations. To use the word “campaign” is not meant to connote an organized conspiracy led by one or a few entities who coordinate all actors, but rather a social movement that creates widespread, predictable, and strong opposition to climate change policy and that consistently uses scientific uncertainty arguments as the basis of its opposition. This movement is a campaign in the sense that it is a systematic response of aggressive actions to defeat proposals to limit greenhouse gas emissions even though no one organization is coordinating all other organizations or individuals that participate in responses. And although some of the actors may be sincere, the tactics discussed in this article are, as we shall see, ethically reprehensible. Although almost all of the disinformation campaign led opposition to climate change policies has been on the basis of inadequate scientific grounding for action, scientific arguments are usually coupled with economic arguments such as claims that climate change policies will destroy jobs, hurt specific industries, lower GDP, or are not justified by cost-benefit analysis. Although these economic arguments often have their own ethical problems, a series on Ethicsandclimate.org has examined in considerable detail the ethical problems with tactics used by the disinformation campaign that rely on scientific uncertainty arguments. Specious claims about “bad science” that are based upon the dubious assumption that no conclusions in science can be made until everything is proven with high levels of certainty. EthicsandClimate.org has described this in a four part paper series and a three part video series that has demonstrated that these tactics are ethically abhorrent. 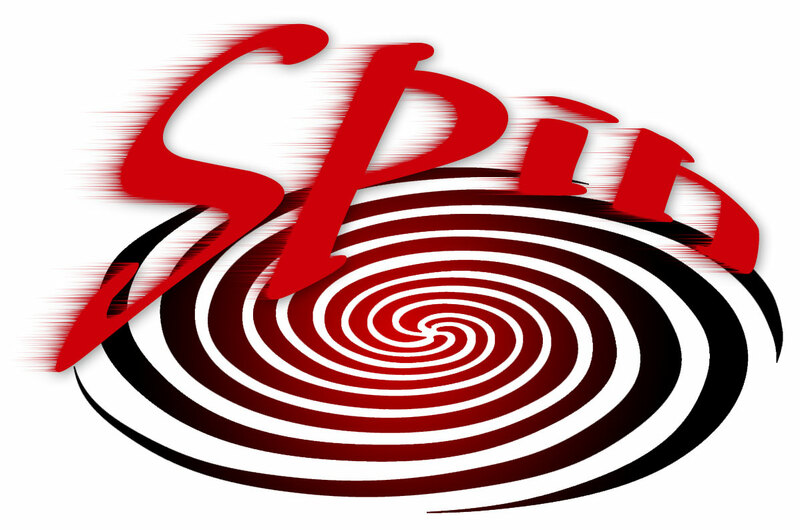 (b) A description of the tactics of the disinformation campaign which cannot be understood as responsible skepticism, such as: (1) making claims that not only have not been peer-reviewed but are at odds with well-settled science, (2) cherry picking the science, (3) treating one study as undermining the entire body of climate science even though the issue in contention is not consequential in regard to the major mainstream scientific conclusions, (4) cyber-bullying scientists and journalists that publish statements that climate change is a significant threat, (5) making completely false claims that are either lies or reckless disregard for the truth such as the claim that the entire scientific basis for action is a hoax when every academy of science supports the consensus view, and (6) the use of front groups and Astroturf groups that hide the real parties in interest behind the disinformation campaign, namely fossil fuel companies and free-market fundamentalist foundations. (d) The fact that hundreds of millions of people around the world who are most vulnerable to climate change’s worst threats have never consented to be put at risk while the United States waits for absolute certainty. (e) The fact that for each year the United States has waited to take action, the problem has become worse. Given what is at stake from climate change, the failure of the US media to cover the disinformation campaign is a tragic, profound, and grave error. The mainstream US media has not only failed to cover this campaign, it has treated it as if it was reasonable scientific skepticism giving it a legitimacy that has increased its influence. Dunlap, Riley E. and Aaron M. McCright (2008) A Widening Gap: Republican and Democratic Views on Climate Change. Environment 50 (September/October):26-35. Dunlap, Riley E. and Aaron M. McCright (2010) Climate Change Denial: Sources, Actors and Strategies Pp. 240-259 in Constance Lever-Tracy (ed. 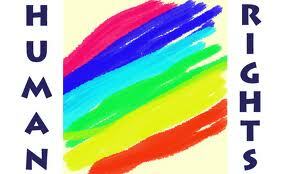 ), Routledge Handbook of Climate Change and Society London: Routledge. Hoffman, Andrew J. (2011) Talking Past Each Other? Cultural Framing of Skeptical and Convinced Logics in the Climate Change Debate, Organization & Environment 24:3-33. Jacques, Peter, Riley E. Dunlap, and Mark Freeman (2008) The Organization of Denial: Conservative Think Tanks and Environmental Skepticism, Environmental Politics 17:349-385. McCright, Aaron M. and Riley E. Dunlap (2000) Challenging Global Warming as a Social Problem: An Analysis of the Conservative Movement’s Counter-Claims, Social Problems 47:499-522. McCright, Aaron M. and Riley E. Dunlap (2010) Anti-Reflexivity: The American Conservative Movement’s Success in Undermining Climate Science and Policy, Theory, Culture and Society 26:100-133. Oreskes, Naiomi and Erik Conway (2010) Merchants of Doubt, How a Handful of Scientists Obscured the Truth On Issues From Tobacco Smoke to Global Warming, Bloosmbury Press, New York. The Grave US Media Failure to Communicate About The Consistent Barrier That The United States Has Been To Finding A Global Solution to Climate Change. This is the fourth paper that examines in more detail the issues briefly examined in the video. In previous entries we examined the failure of the US media to communicate about: (a) the nature of the strong scientific consensus about human-induced climate change, (b) the magnitude of greenhouse gas emissions reductions necessary to prevent catastrophic climate change, and (c) the practical significance for policy that follows from understanding climate change as essentially an ethical problem. In this paper we look at the failure of the US media help educate US citizens about the consistent barrier that the US has been in international climate negotiations that have sought for over twenty years to find a global solution to prevent harsh climate change impacts. The last paper in the series will examine the failure of the US media to help Americans understand the well-organized, well-financed climate change disinformation campaign. II. The World Waits In Vain For US Leadership On Climate Change. Most Americans are completely unaware that the United States has consistently been a barrier to achieving a global solution to climate change despite the fact that the United States is an indispensable party to a global climate change solution. To understand the importance of the US solving the global climate change problem, one must keep in mind that: (a) the United States is by far the largest historical emitter of global greenhouse gases that have caused the existing problem, (b) the United States is near the top of national greenhouse gas emitters on a per capita basis, (c) the United States is second only to China in total tons of greenhouse gases emitted, and (d) the United States has the worst record among developed countries in making commitments to a global climate change solution. Although the United States is an indispensable participant in solving climate change because of the size of the US contribution to the global problem, the United States has a dismal record in over twenty years of international efforts to achieve a global solution to this civilization-challenging global problem. In American Heat, Ethical Problems With the United States Response To Global Warming, (Brown, 2002), this writer documented in detail the negative role in achieving a global approach to climate change that the United States played in the first decade of climate change negotiations from the late 1980s through the year 2000. Among other things during the negotiations of the United Nations Framework Convention on Climate Change (UNFCCC) between 1990 and 1992, the United States, virtually standing alone, successfully prevented the UNFCCC from including enforceable national emissions reductions targets for developed nations. In a book to be published this month, Navigating the Perfect Moral Storm, Climate Ethics, this writer documents in detail the failure of the United States to be a leader since the conclusions of the UNFCCC negotiations in 1992, (Brown 2012). The United States has been the only developed country in the world to fail to ratify to the Kyoto Protocol and thereby commit itself to a binding interim emissions reduction target. George W. Bush announced that the United States was not only unwilling to ratify the Kyoto Protocol, it was withdrawing the United States from the Kyoto Treaty all together. When President Obama was elected, there was wide-spread hope the United States would change course on climate change. Yet, the United States under President Obama has approached climate negotiations in Copenhagen in 2009, Cancun in 2010, and South Africa making only a voluntary commitment to reduce its greenhouse gas emissions by 17% below 2005 emissions levels by 2020 thereby making the US promise: (a) the weakest of all of the developed country commitments, and (b) far short of what is required of global greenhouse gas emissions reductions necessary to prevent dangerous climate change. Although there is evidence that President Obama hope to make the United States, for the first time, a responsible participant in an adequate global approach to climate change, since the Republicans took over the US House of Representatives in November of 2010, the United States hast been unable to make meaningful national commitments on climate change and will not likely to be able to do so until well into 2013 at the very earliest. There is no evidence that the United States is willing to make commitments to reduce its greenhouse gas emissions to levels consistent with what the world needs to do to prevent dangerous climate change, a matter discussed in the second paper in this series. Although there are several countries that have frequently failed to respond to what justice would require of them to reduce the threat of climate change, the United States, more than any other country, has consistently failed to respond to its ethical duties to reduce its emissions to the its fair share of safe global emissions during the over two decades that the world has been seeking a global agreement on how to respond to climate change. Because the United States is such a vital player in any global solution to climate change, the United States response to its obligations to reduce the global threat of climate change has been an immense impediment to an urgently needed global climate change solution. And so the world continues to wait for ethical leadership from the United States on climate change as significant damages are becoming more visible around the world. As the world is running out of time to prevent significant climate change, the United States continues to ignore its global obligations. Yet coverage of climate change debates in the US media rarely mention the negative role the United States has been playing in developing a global solution. The world awaits US leadership on climate change at a time when human-induced climate change harms are becoming more obvious. Yet there is little evidence that US citizens understand their obligations to poor people around the world for climate change damages and the United States has been significantly responsible for delays in reaching a global solution to climate change. This is both a tragic failure of domestic leadership and a failure of the US press to help educate Americans about the negative role the US has played in finding a global solution to climate change. Brown, D. (2002) American Heat: Ethical Problems With the United States Response to Global Warming, Roman and Littlefield. 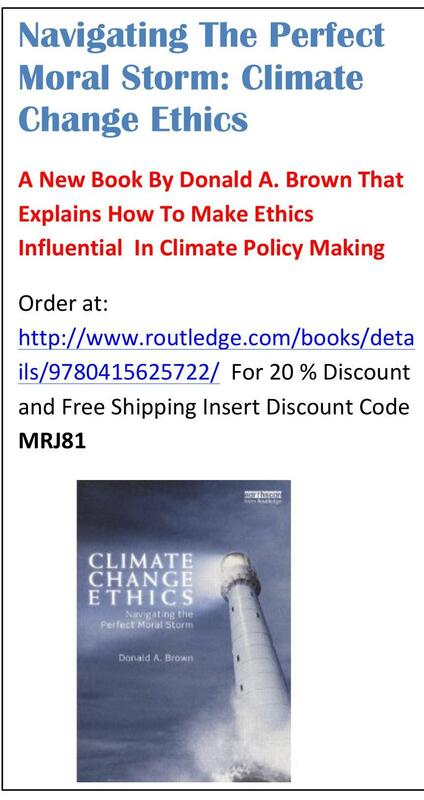 Brown, D. (2012) Navigating the Perfect Moral Storm, Climate Change Ethics, Routledge/Earthscan. On October 23, 2012, the PBS program Frontline aired a program called Climate of Doubt. 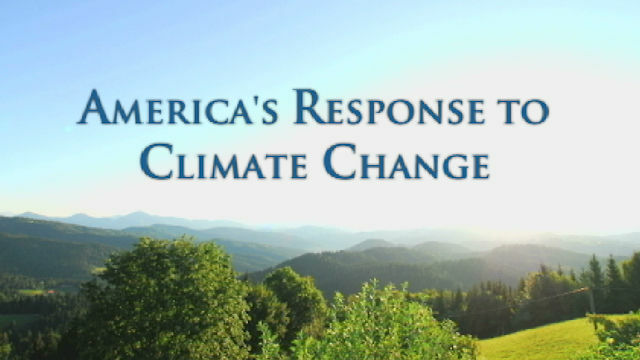 available on the PBS website at www.pbs.org/frontline/ This program describes the success of right-wing organizations and some corporations in both undermining the public’s understanding of the mainstream scientific view about human-induced climate change and in preventing legislative action to reduce US greenhouse gas emissions. Climate of Doubt explains that the disinformation campaign has succeeded despite the fact that the vast majority of climate scientists that actually engage in climate change scientific research strongly support the consensus scientific view that humans are causing dangerous warming. In a very introductory manner, the Frontline program explains how the climate change disinformation campaign has managed to weaken support for doing something about climate change and for this reason the program is a welcome addition to the otherwise largely non-existent US media coverage of who is behind the climate change disinformation campaign. Although the Frontline program should be welcomed for bringing much needed attention to this tragic manipulation of a democracy, at the same time the program can be criticized for missing important elements of the story necessary to get a full understanding of the outrageousness, if not criminality, of the climate change disinformation campaign. (b) A sense of the urgency for the need to make greenhouse gas emissions reductions as soon as possible to avoid dangerous climate change. 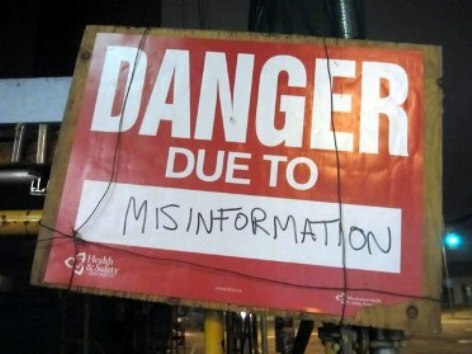 (d) The tactics of the disinformation campaign which cannot be understood as responsible skepticism, such as: (1) making claims that not only have not been peer-reviewed but are at odds with well-settled science, (2) cherry picking the science, (3) treating one study as undermining the entire body of climate science even though the issue in contention is not consequential in regard to the major mainstream scientific conclusions, (4) cyber-bullying scientists and journalists that publish statements that climate change is a significant threat, (5) making completely false claims that are either lies or reckless disregard for the truth such as the claim that the entire scientific basis for action is a hoax when every academy of science supports the consensus view, and (6) the use of front groups and Astroturf groups that hide the real parties in interest behind the disinformation campaign, namely fossil fuel companies and free-market fundamentalist foundations. (j) The fact that each year the United States has waited to take action, the problem has become worse. In summary, the Frontline program, although a welcome overdue US media analysis of the climate change disinformation campaign, fails to adequately explain why the disinformation campaign should be considered as some new kind of crime against humanity. The Frontline program give far to much attention to some of the climate deniers while failing to communicate adequately the strength of the consensus position. Given what is at stake from climate change, ethics requires that those who want to discuss the uncertainties of climate change science must proceed with extreme care including limiting their claims to peer-reviewed science and not overstating the significance of individual studies. Skepticism in science is the oxygen of science and therefor is a good thing, but many of the tactics of the disinformation campaign are clearly not responsible skepticism. They are often deeply deceitful, ethically abhorrent disinformation. 1. Ethical Analysis of the Climate Change Disinformation Campaign: Introduction to A Series Series. 2.Ethical Analysis of Disinformation Campaign’s Tactics: (1) Reckless Disregard for the Truth, (2) Focusing On Unknowns While Ignoring Knowns, (3) Specious Claims of “Bad” Science, and (4) Front Groups. Ethicsandclimate has also produced a video on why the climate change disinformation campaign is so ethically abhorrent. See. Why the Climate Change Is So Ethically Abhorrent. We now provide a more detailed written description of these failures in this and subsequent posts. In this post we look at the first of these communications failures, namely the failure to communicate to US citizens the strength and nature of the current scientific consensus position on climate change. The magnitude of greenhouse gas emissions reductions that are necessary to prevent dangerous climate change. The consistent barrier that the United States has been in finding a global solution on climate change for over 20 years. The fact that climate change must be understood as a civilization challenging ethical problem, an understanding that is of profound significance for climate change policy formation. The nature of the climate change disinformation campaign in the United States. II. The Strength And Nature Of The Current Scientific Consensus Position On Climate Change. Most US citizens are aware that there has been an ongoing debate about the science of climate change, yet most American are completely unaware of the strength of the “consensus” position on climate change. Under business as unusual human-induced warming will likely range from 2 to 5 degrees C (although it could be greater). This warming will harm some people more than others from rising seas, increased droughts and floods, increased storms, increased vector-borne disease, deaths from heat waves, reducing food productivity, and diminished availability to water. To stabilize GHG in the atmosphere will require huge reductions from business as usual. One, recent reports have concluded that the vast majority of scientists actually doing research in the field support the consensus scientific view. For example, a 2009 study–published in the Proceedings of the National Academy of Sciences of the United States–polled 1,372 climate researchers and resulted in the following two conclusions. (ii) The relative climate expertise and scientific prominence of the researchers unconvinced of ACC are substantially below that of the convinced researchers. Three, the Academies of Science from nineteen different countries all endorse the consensus view. Eleven countries have signed a joint statement endorsing the consensus position. Among the academies of sciences around the world that have issued reports supporting the consensus view is the United States Academy of Sciences that has issued four reports. From this it can be seen that the consensus view articulated by the IPCC is strongly supported by: (1) the vast majority of climate change scientists that actually do research on human-induced climate change (2) the most prestigious scientific organizations comprised of scientists with relevant climate change expertise, and (3) academies of sciences around the world, the very institutions that have been created to advise governments on complex scientific issues. For this reason, the IPCC consensus position is entitled to strong respect that, at the very minimum, climate change poses a legitimate significant threat to human well-being and the natural resources on which life depends. It is important as a mater of ethics to remember that if the consensus view is wrong, it could be wrong in two directions. That is, not only could IPCC be overstating the magnitude and timing of climate change in the future, they may be understating the harshness of climate change harms. And so, the most prestigious scientific organizations in the world support the consensus view on climate change. Yet. the United States media has almost always failed to communicate this fact when discussing controversies about climate change science. Although the US media has from time to time acknowledged that most climate scientists support the consensus view, they have almost always failed to describe strength of the consensus view that becomes apparent when one understands the magnitude of support for the consensus view by the most prestigious scientific organizations end researchers described above. Given the enormity and harshness of impacts to hundreds of millions of people around the world from climate change coupled with the fact that United States has a special responsibility for the civilization challenging problem because of the comparatively large levels of the emissions coming from America, the failure of the US media to describe strength the scientific consensus on change is a grave and tragic error. The United States In Climate Treaty Negotiations. ” 2w Governance 5, December 1999). This video examines 5 grave tragic communications failures of the US media on climate change. The nature of the climate change disinformation campaign. This is the third in a three part video series that looks at the ethical obnoxiousness of the climate change disinformation campaign. All three of these are available on http://ethicsandclimate.org. The first in the series introduced the concept of the disinformation campaign that has been described in a rich sociological literature while explaining why this movement has been so ethically abhorrent. The second entry looked at some of the specific tactics of this campaign while distinguishing this phenomenon from responsible skepticism. This entry continues the examination of specific tactics and concludes with lessons learned about this disinformation campaign. To view the other two videos in this series see the two proceeding entries on this website. This video explains why the climate change disinformation campaign is so utterly ethically abhorrent. It briefly identifies the morally indefensible tactics used by a campaign designed to undermine mainstream climate science in ways that utterly fail to acheive minimum norms of responsible scientific skepticism while at the same time greatly endangering many of the world’s poorest people The video distinguishes responsible skepticism, something that should be encouraged, from morally abhorrent disinformation. US ethical responsibility for climate change.